Dr. Neely earned her Chiropractic degree at Palmer College in San Jose, California. She honed her skills as a relief doctor in a number of Bay Area Chiropractic offices before becoming the sole proprietor of Marina Chiropractic on the corner of Chestnut & Scott Streets in San Francisco. Dr. Neely also holds an Honors degree in Kinesiology & a Bachelors degree in Education from Lakehead University in Ontario. As a former Personal Trainer, Dr. Neely combines nutrition, exercise & chiropractic care to establish greater levels of mobility, energy & vitality in her patients. 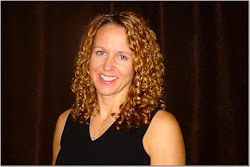 Prior to becoming a Chiropractor she taught Physical Education and Biology classes at her old High School in Stratford Ontario. Dr. Neely’s interest in Chiropractic first began as a patient while a young athlete in competitive figure skating, volleyball, tennis and other sports. She credits Chiropractic with staying off the sidelines throughout her career. She naturally gravitated to the practice, as did two of her brothers, one who practices in Canada, and another in Hong Kong. Dr. Neely continues to promote health through exercise, proper nutrition and an active lifestyle and still enjoys participating in several sports.